A leading design team has been appointed to work on one of London’s biggest housing regeneration projects. 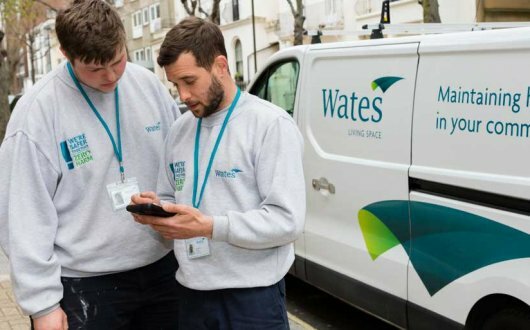 Havering and Wates Regeneration LLP – the joint venture between the London Borough of Havering and Wates Residential – has appointed the consultant team to work on Phase One of the project, which will see four sites across the borough regenerated to provide hundreds of homes for local people. The plans are part of a wider scheme that will provide around 3,000 homes in Havering over the next 12 years. Phase One will include the Waterloo Estate and Queen Street in Romford, Solar Serena and Sunrise Court in Hornchurch, and Napier and New Plymouth House in Rainham. The companies appointed include BDP for landscaping and architects JTP and Conran and Partners. AECOM will provide mechanical, electrical and plumbing services, while GL Hearn will act as planning consultants. Peter Brett Associates will manage traffic and transport, and Clarkebond will provide civil and structural engineering expertise. All of the companies have been chosen due to their expertise and experience in estate regeneration. They have been appointed to work throughout the planning process. Residents in Havering will be encouraged to provide feedback and suggestions for improvement on possible designs for Phase One of the project in July. Three architects – Pollard Thomas Edwards, Hawkins\Brown and Hunters – have also been appointed to a framework for Phase Two and Three of the scheme, which will include eight sites across Romford, Hornchurch and Gidea Park. They are currently undertaking feasibility exercises. The project will deliver improved housing for local people, doubling the amount of affordable homes on the 12 estates and increasing council rented accommodation by 70 per cent. As part of the project, Wates Residential and Havering Council have also made a joint pledge to deliver a lasting legacy for the community through investment in local facilities, skills, education and training. Commitments include school engagement programmes, free courses for long term unemployed young adults and the delivery of around 165 apprenticeships over the life of the scheme.